Thank you for your Massage & Footbath appointment request! We will contact you within 24 hours to schedule the exact time and date for your appointment. Let you're friends know about the Valentine Special offer by forwarding! Brenda and Dr. Lizie look forward to working with you! IMPORTANT: Be sure to download and complete the toxicity Questionnaire. You'll need to bring it with you on the day of your appointment. Cleansing Foot bath therapies work well together? During a massage, toxins are released into your circulation. While this is good for healing, it requires your body to process all the the toxins... you're body is held responsible for eliminating those toxins. If toxins are not eliminated from the body, you're at risk of feeling "ichy" with symptoms of fatigue, headache, or other illness. 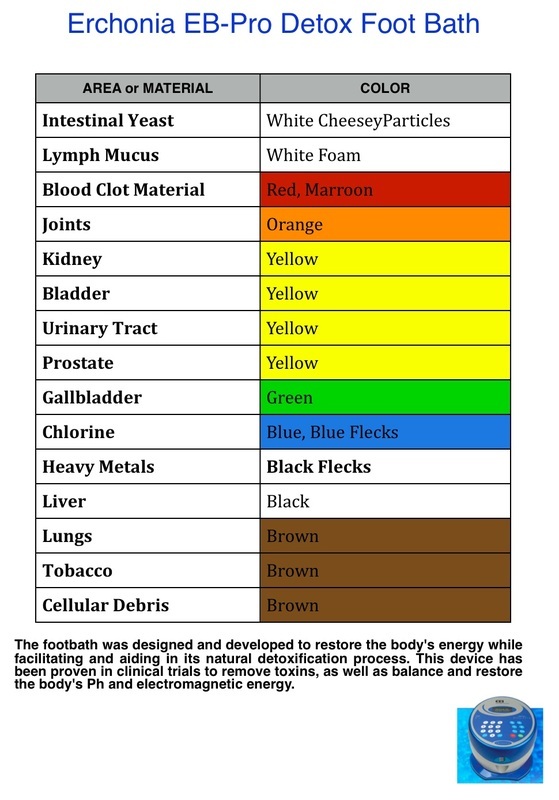 This is where the footbath boosts your rate of healing... the footbath cleanses the toxins from your circulation, cleanses your lymphatic system and the other systems in your body.